Welcome to the third annual #BrunchWeek hosted by Terri from Love and Confections and Shaina from Take A Bite Out Of Boca. We are so excited to have you join us this year! Celebrate Brunch with us this week as we prepare for Mother's Day. 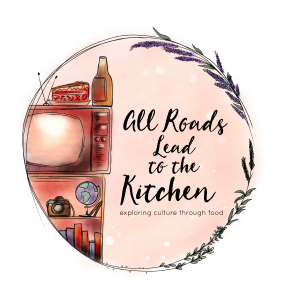 30 Bloggers from around the country will showcase their best brunch dishes, from cocktails to casseroles, breakfast breads, sandwiches and salads - there is something for everyone! 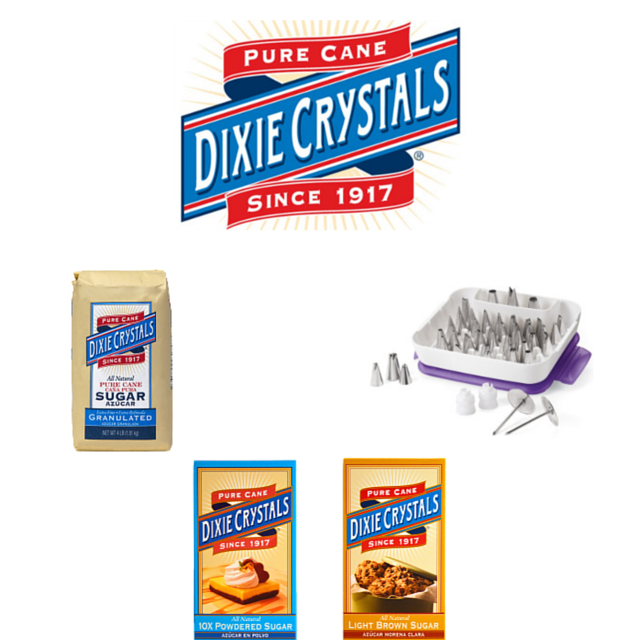 Our amazing Sponsors have donated some great prizes for the #BrunchWeek giveaway. Thank you so much, Sponsors, for your generosity. We have an incredible giveaway below and we’d love if you would take a moment to read about them all and what you can possibly win! Skip right to the giveaway. 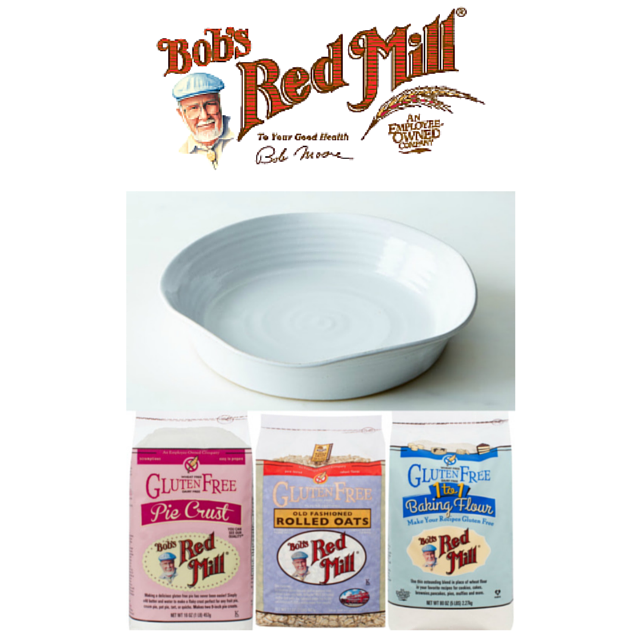 Prize #1: Bob’s Red Mill is giving one winner a Pie Plate, Gluten-Free Oats, Gluten-Free Pie Crust Mix, Gluten-Free 1-to-1 Baking Flour and a Bob's Red Mill Flour Sack Towel. 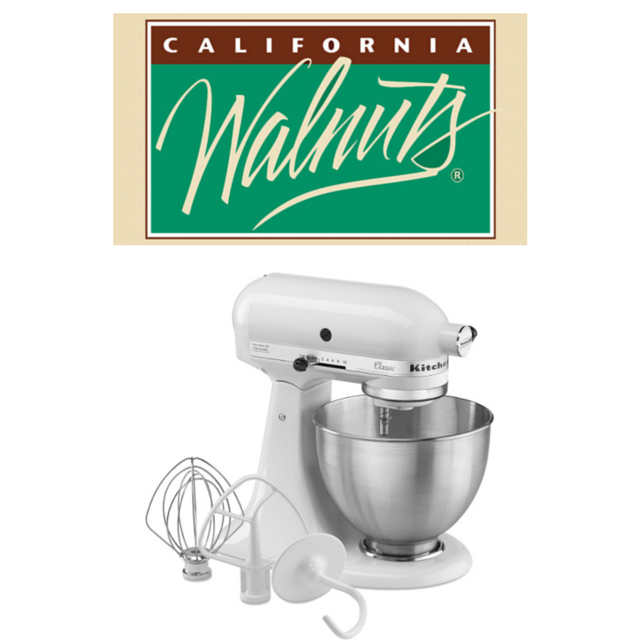 Prize #4: California Walnuts is giving one winner a Classic Series 4.5-Quart Tilt-Head Stand Mixer in white. About California Walnuts: The California Walnut Board was established in 1948 to represent the walnut growers and handlers of California. The board is funded by mandatory assessment of the handers and the California Walnut Commission, established in 1987 is funded by mandatory assessments of the growers. More than 99% of the walnuts in U.S. are grown in the fertile soils of California's Central Valley. Internationally, California walnuts supply three-quarters of the world's walnut trade. Sustainability is important to the California walnut industry. The California Walnut Board has supported sustainable growing practices through its production research program for over 20 years. 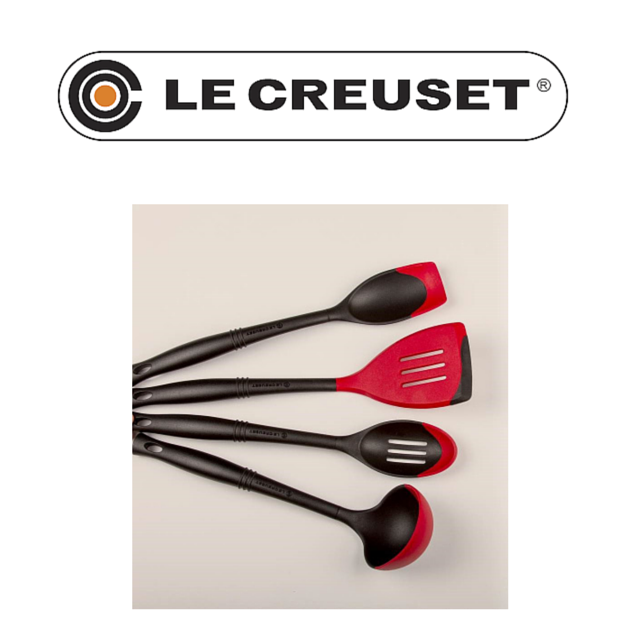 Prize #5: Le Creuset is giving one winner a set of their new Revolution® Bi-Material Utensils. The pliable combination of flexible silicone and rigid glass-filled nylon allows Revolution cooking utensils to conform to the edges of pots and pans, making it easy to stir, scoop and serve your favorite chili recipe to family and friends. About Le Creuset: Respect for tradition and authenticity has been Le Creuset's guiding principle since 1925, yet our innovative designs and exceptional quality ensure that we remain relevant today. The Le Creuset signature color, Flame, was born in this first piece. With their new ability to pigment the enamel glaze, Desaegher and Aubecq modeled their first color after the intense orange hue of molten cast iron inside a cauldron (“creuset” in French). We still manufacture our cast iron in the original foundry, with each piece passing through the hands of 15 skilled artisans to ensure flawless perfection. With the consistent qualities of authenticity, originality and innovation, Le Creuset maintains a connection to both heritage and modernity. 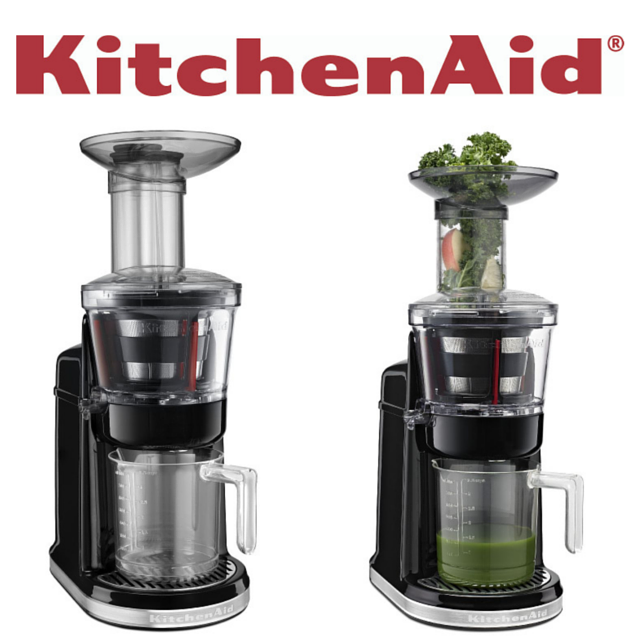 Prize #6: KitchenAid is giving one winner a Maximum Extraction Juicer. The KitchenAid® Maximum Extraction Juicer (slow juicer) gives you more juice with less prep work, featuring a patented two-stage blade and auger system and wide chute. This juicer also comes with 3 pulp screens for low pulp, high pulp and sauces. 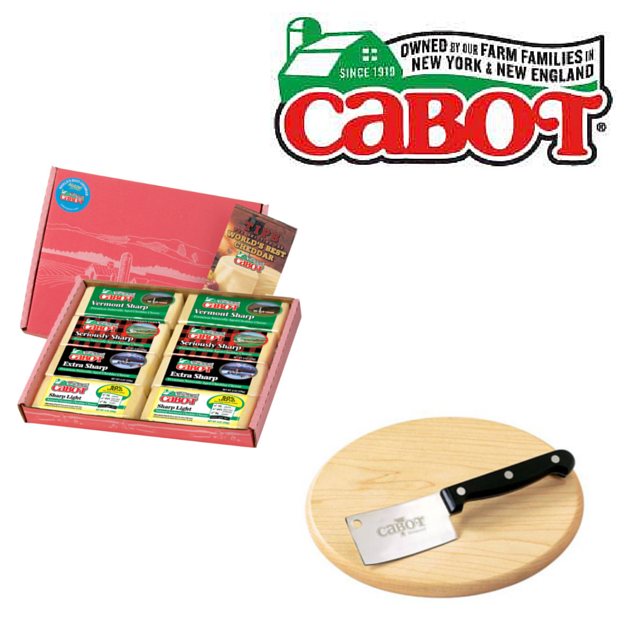 Perfect for hard, soft or leafy fruits and vegetables. About KitchenAid: In 1919 our iconic Stand Mixer was born. And from that stemmed an entire kitchen of high-performance appliances-all created with the same attention to detail, quality craftsmanship, versatile technology and timeless design. As the only appliance brand that only makes things for the kitchen, we continue to keep pushing the limits with our products so you can keep doing the same with everything you create. 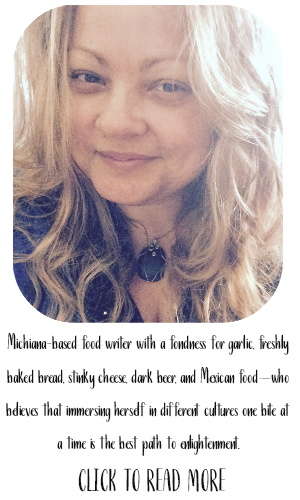 So, here's to you, your kitchen and the delicious world that surrounds us all. 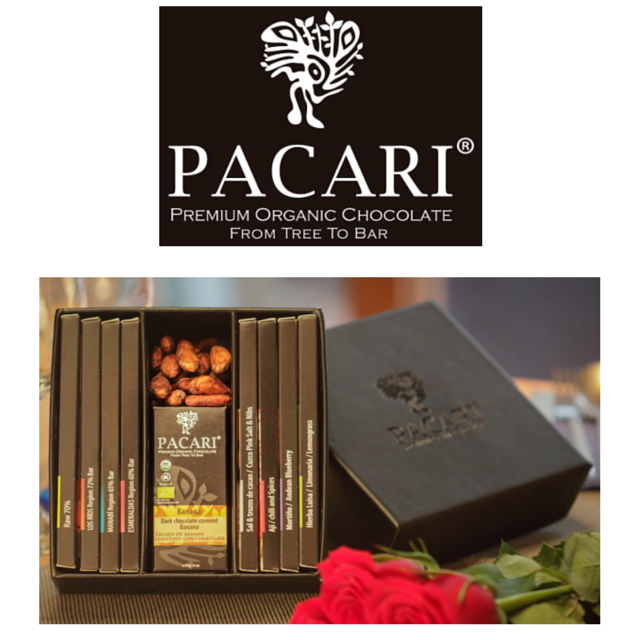 Prize #8: Pacari Premium Organic Chocolate is giving one winner a gift box which includes: 8 bars (3 Single Region Bars, 1 Raw 70% (multi-award winner), 4 Andean Flavors Collection Bars (Salt and Nibs, Lemongrass (award winner), Merken and Andean Blueberry, 2 chocolate covered boxes: 1 Banana and 1 Goldenberries (award winner), and Dry Cacao Beans. 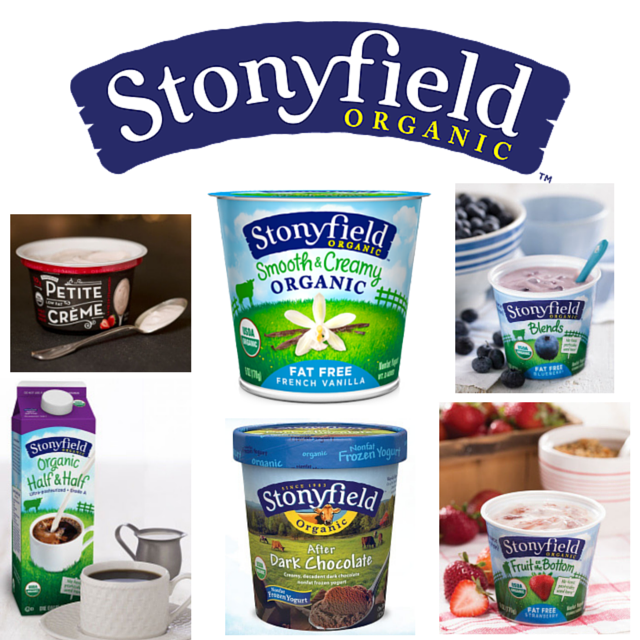 Prize #9: Stonyfield Organic is giving one winner a Shirt, $40 in coupons, Cookbook, Mason Jar and Measuring Cups. About Stonyfield Organic: Back in 1983, our co-founders Samuel Kaymen and Gary Hirshberg were running a nonprofit organic farming school on a small New Hampshire farm. They were on a mission to help family farms survive, keep food and food production healthy, and help protect the environment. They began selling yogurt made without the use of toxic persistent pesticides or chemical fertilizers. The yogurt was a hit and Samuel and Gary realized that a successful organic company could make a bigger difference for family farms, people and the planet than their school could. Today, our organic yogurts, smoothies, soy yogurts, frozen yogurts, milk and cream are sold in supermarkets, natural food stores and colleges across the country. And we make all of it without the use of toxic persistent pesticides, artificial hormones, antibiotics or GMOs. We’re still located right here in New Hampshire—about 30 miles east of the old farm—but now our organic ingredient purchases support a huge network of food producers made up of hundreds of organic family farms, thousands of organic cows, and over 200,000 organic acres. We’ve also pioneered planet-friendly business practices—from offsetting our yogurt works’ emissions, to making yogurt cups from plants instead of petroleum, to making our own renewable energy, and much more. Our old organic farming school is just a memory. But the thought and passion that started it in the first place have only grown stronger, and we've never stopped working for healthy food, healthy people and a healthy planet. 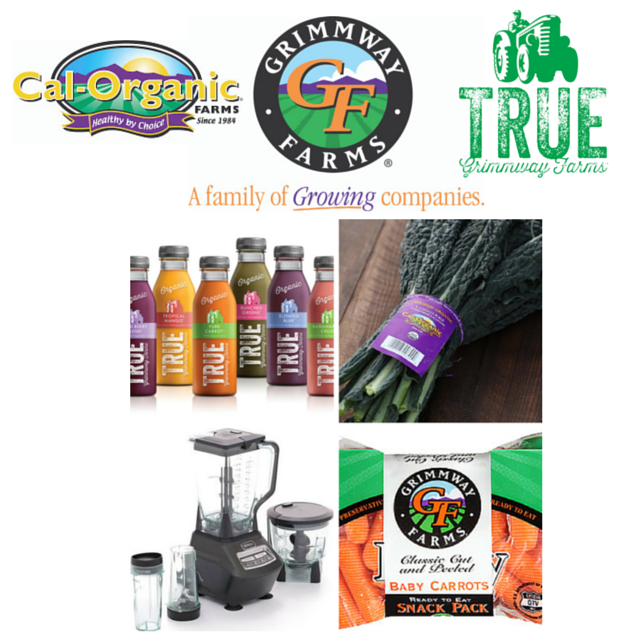 Prize #11: Grimmway Farms, Cal-Organic and True Juice is giving one winner a Ninja Professional Blender with food processor and single serve blender, assortment of True Organic Juice Blends, and a package of Grimmway Carrots and Cal-Organic veggies. Grimmway carrots and Cal-Organic veggies are enjoyed fresh and whole, or as part of a delicious smoothie – which is why we thought you’d love the Ninja blender to help you make some! Don’t trust your own culinary skills to make your own juices and smoothies?! We decided to throw in some of our own True Juices for you to try as well! About Grimmway Farms, Cal-Organic & True Juice: The story of Grimmway began in 1968, when brothers Rod and Bob Grimm set up a roadside produce stand and planted the seed that would blossom into today’s Grimmway Farms. Grimmway Farms began growing carrots back in 1971! Today, Grimmway Farms has become the largest grower, producer and shipper of carrots in the world! Not only does Grimmway Farms play a part in every meal—breakfast, lunch, dinner and snacks—but they also play an essential part in the health of growing children and active adults. Bringing Grimmway home to your family means bringing home the best in produce and the best for their health! Join Grimmway’s Twitter parties and conversations by following the hashtag #JustCrunchEm! Sustainability is in our DNA. From using all parts of the carrot, having a full organic line and using our own veggies to make juice, we believe taking care of the environment is part of taking care of you. Cal-Organic Farms is a large part of our farm where we grow over 40 fruits and veggies from kale and potatoes to blueberries and watermelons. True Juice is just that – juice that’s truly organic, sustainably grown, and delicious with products from our own farms. Although the flavor names might be hard to pronounce, they’re full of simple ingredients – like Bananaberry Crush with strawberries, kiwi, banana, beets, carrots and apples! 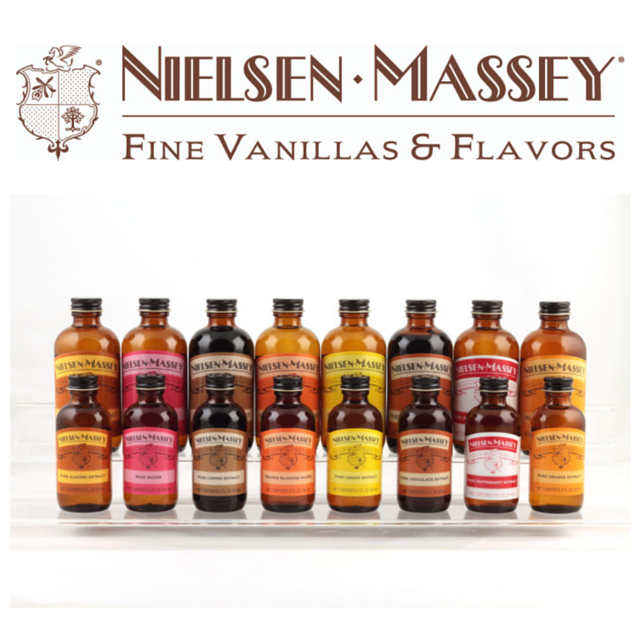 Try all of our great flavors - BananaBerry Crush, Pure Carrot, Wild Berry Blend, Bunched Greens, Blended Blue and Tropical Mango. 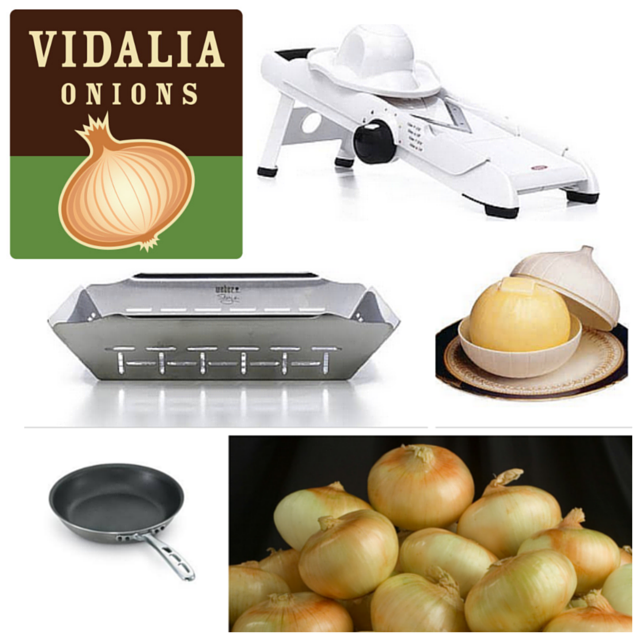 Prize #12: Vidalia Onions is giving one winner an OXO SoftWorks Handheld Mandoline Slicer, Vidalia Sweet Onion Cookers, Vollrath 8" Stainless Steel Non-stick Fry Pan, Weber Style Grill Vegetable Basket and fresh Vidalia Onions. 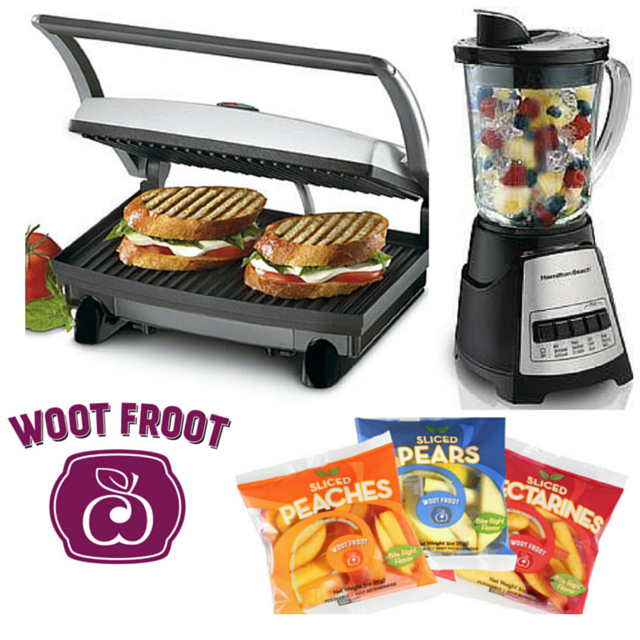 Since Vidalia onions are such a versatile item to cook with, we thought setting you up with a few appliances to help explore different cooking styles would be a perfect way to introduce you to Vidalia onions! 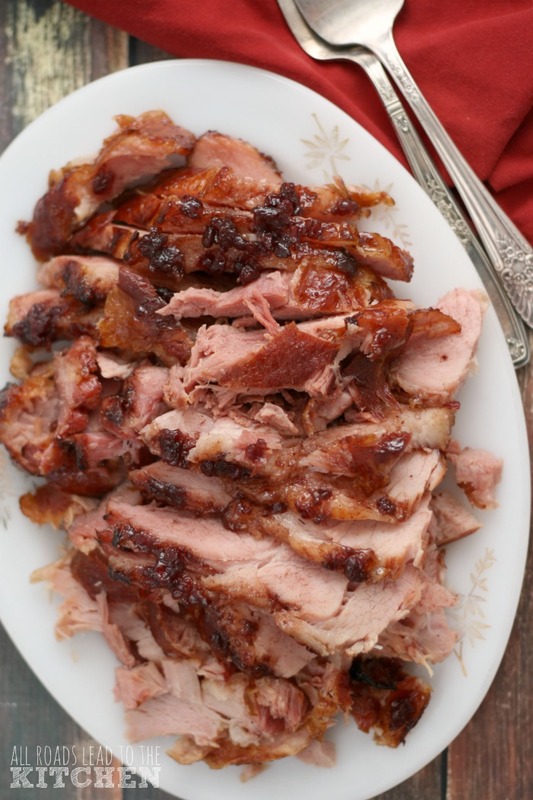 Slice them, dice them, cook them, sauté them or grill them – any way is delicious! 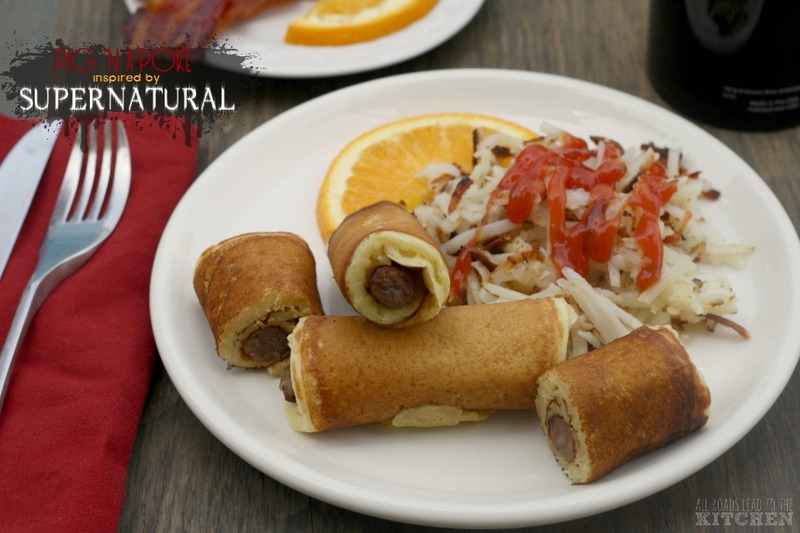 We’ll even throw in a bag of Vidalia’s for you to get cooking with! 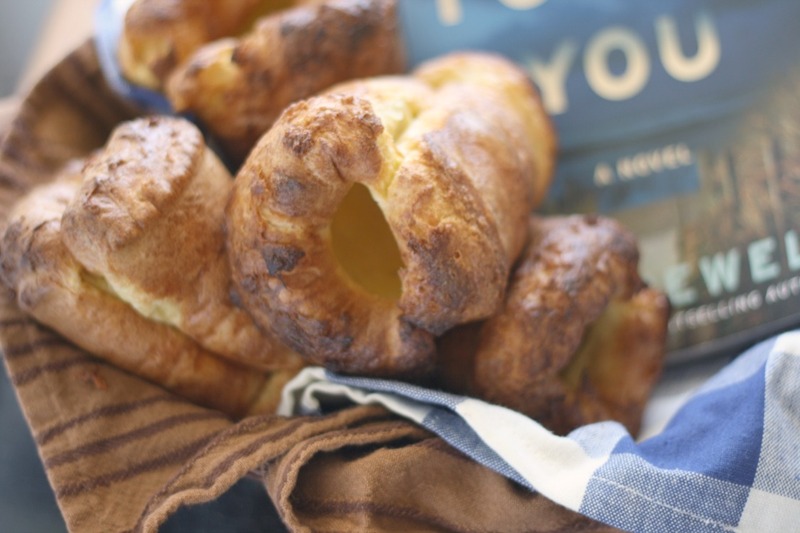 The #BrunchWeek giveaway is open to U.S. residents, age 18 & up only. All entries for the winner will be checked and verified. By entering you give the right to use your name and likeness. The number of entries received determines the odds of winning. Twelve winners will be selected. The prize packages will be sent directly from the giveaway sponsors. 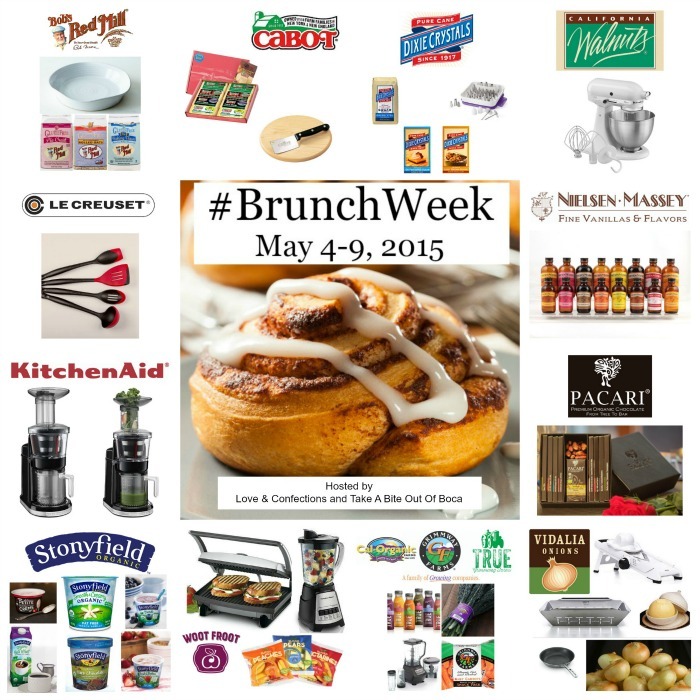 The #BrunchWeek Bloggers are not responsible for the fulfillment or delivery of the prize packages. Bloggers hosting this giveaway and their immediate family members in their household cannot enter or win the giveaway. No purchase necessary. Void where prohibited by law. 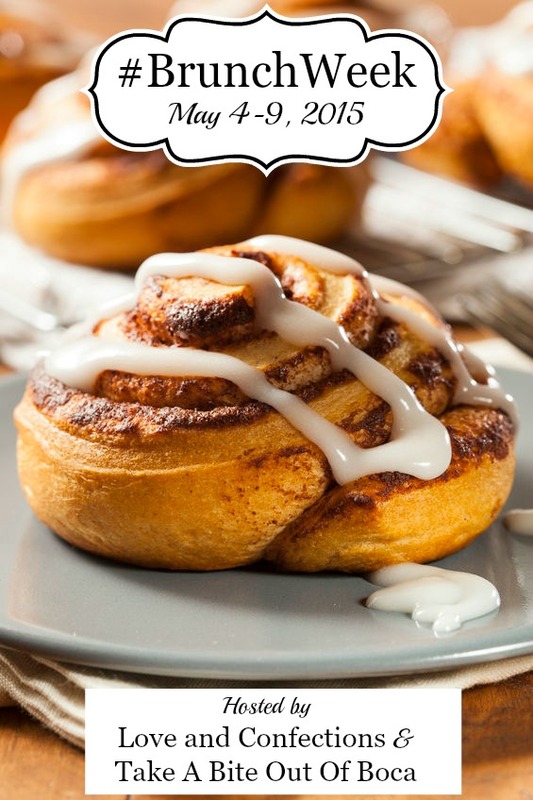 Thank you to #BrunchWeek Sponsors: Bob’s Red Mill, Cabot Creamery Cooperative, California Walnuts, Dixie Crystals, Grimmway Farms/Cal-Organic/True Juice, KitchenAid, Le Creuset, Nielsen-Massey Vanillas, Pacari Chocolate, Stonyfield Organic, Vidalia Onions, and Woot Froot for providing the prizes free of charge. 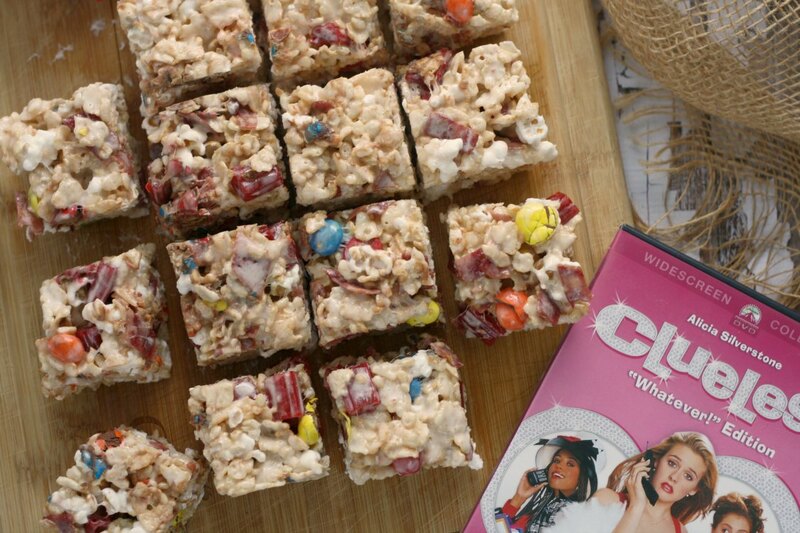 These companies also provided the bloggers with samples and product to use for #BrunchWeek. All opinions are my own.